Whether you’re a new mom or a mom-to-be, navigating stylish living with a fresh babe and a new bod can seem like a daunting task. Keeping it all together usually boils down to having a few key essentials on hand. THE ROMPER | Flattering for any body type – with bump or without – you can’t go wrong with the uber chic line of maternity clothing, HATCH. They cater to women before, during and after pregnancy with flattering cuts and super chic styling. Their rompers and onesies are some of our favorite staples. CARRY ALL | With baby on board your big bag of “essentials” just got a lot bigger. Organization is key when transporting a baby around, and of course you want to look good doing it. The traditional diaper bag is way out and these packs from Leader Bag Co. are moving right in. The bags are unisex so dad’s will look great carrying them too! Leader Bag Co. also makes a super cool Change Pouch that looks like a clutch, but doubles as a change mat. How cool is that? 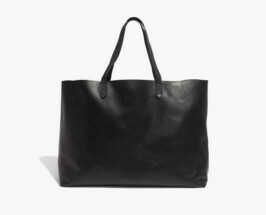 If you are looking for something truly simple- The Madewell Transport Tote is perfectly discreet, streamlined and chic. PRENATALS | Before, during and after pregnancy prenatals are essential. Although it may seem to go without saying, so many women still forget this step or don’t recognize how critical it is. My own personal experience with taking a prenatal during pregnancy has been a game changer, resulting in a better mood, better skin, higher energy… the list goes on. If you couldn’t really tell if vitamins were working, we guarantee that with a high-quality supplement in pregnancy you will feel the difference. 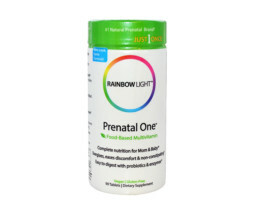 For a basic prenatal we like Thorne, Rainbow Light, and Garden of Life. Iron is also a key player. Many women are slightly iron deficient, and during pregnancy your iron requirement doubles. We love Perfect Brand Desiccated Liver Capsules. Unlike other iron supplements they are gentle on your stomach and digestive system. BODY OIL | Your body goes through a lot of major changes during pregnancy, and super dry skin is often one of the results. From avoiding stretch marks, to attempting to maintain your glow – hydration is really key. As a new mom it is also super important to go as natural as possible. 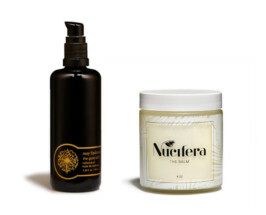 These three body oils make us feel pretty and pampered no matter what: check out May Lindstrom’s ‘The Good Stuff‘, Jiva Apoha Body Oils, and Nucifera Body’s ‘The Balm‘. BABY CARRIER | The list wouldn’t be complete without mentioning how you’re going to lug your little one around. Carrying your baby is the way to go these days to keep it hands free and low stress (until they outgrow you of course). Lugging a stroller around isn’t always efficient or necessary. 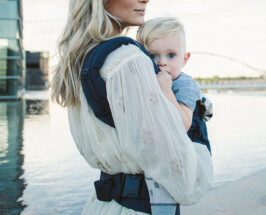 Our favorite picks for streamlining transportation are everything Ergobaby and for a cozy all cloth option, The Solly Baby Wrap. BONE BROTH | Bone broth and other mineralizing warming foods and really important during pregnancy and nursing. Keeping yourself satiated will keep your baby nice and cozy both in and out of the womb. 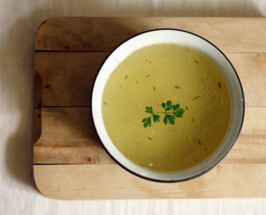 It can feel almost impossible to get enough iron and protein as a new mom, and foods like bone broth provide a dense amount of nutrition without the sluggish feeling of sitting around eating meat all day. FLOWER ESSENCES + ESSENTIAL OILS | There is no better time to take care of yourself then during the transition to becoming a mother. Taking care of yourself mentally, physically, and spiritually is essential. What your creating is a biological miracle that is more taxing to your physical and mental bodies than you may realize. Pregnancy brings up so many emotions. It’s is a beautiful time to nurture your spirit, and look inward a little further. The right balance of Flower Essences and Essential Oils can help do just that. We love flower essences because they are gentle and the effects are perfectly subtle. 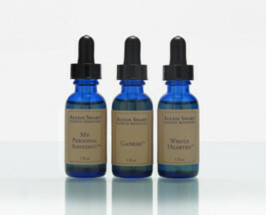 We can’t get enough of Alexis Smart Flower Remedies and have recently grown to love Sisters Spinsters flower magic. For essential oils – the brand Snow Lotus makes a Woman’s Transformation Blend that is beyond wonderful. It is a rich blend of Jasmine, Frankincense, and Rose Geranium. We put a few drops of this everywhere . Share the post "TCM Living Well: 7 Stylish Essentials for New Mamas"
Correction needed of “your” to”you’re” in the baby carrier section. This is disappointing.